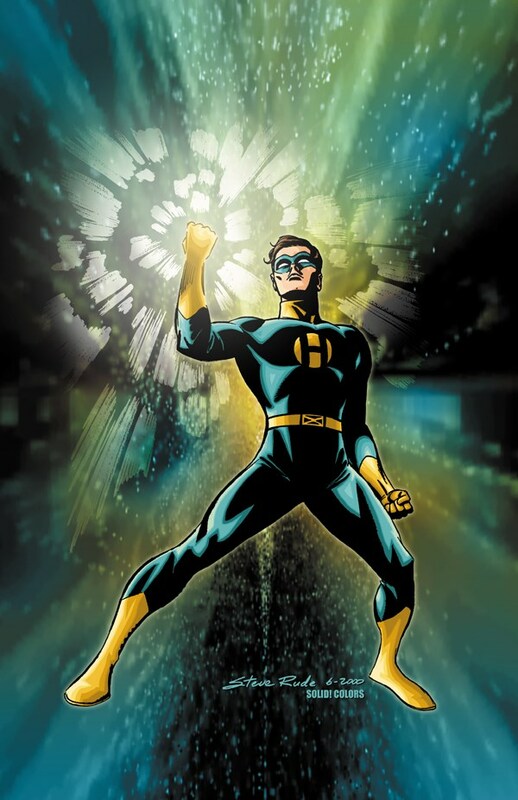 Homicron is a native of Alpha, a planet inhabited by a peaceful race of scientists whose Envoys turn into energy beings to explore the cosmos. Homicron's adventures before his arrival on Earth remain mostly unchronicled . Homicron rescued the Apollo 19 capsule carrying Major Ted White, Lt. Robert Ross and Dr. Jonathan McDouglas, and enabled the craft to return safely to Earth, but by so doing, became trapped by the planet's magnetic field. When Major White succumbed to a heart attack, Homicron merged into his body, inheriting his memories and his fiancée, Dr. Rita Tower, a NASA physicist. Dr. Tower designed an energy converter which enabled Homicron to regain human form. His subsequent attempts to recontact his homeworld attracted the attention of the Kyrosians, a race of imperialistic aliens. 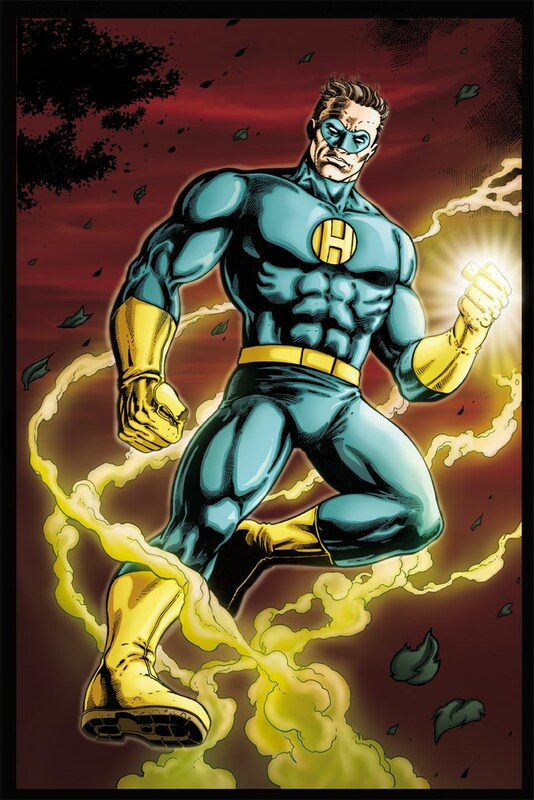 They captured Homicron and attempted to convert his energy into pure plasma, but only succeeded in driving him insane. 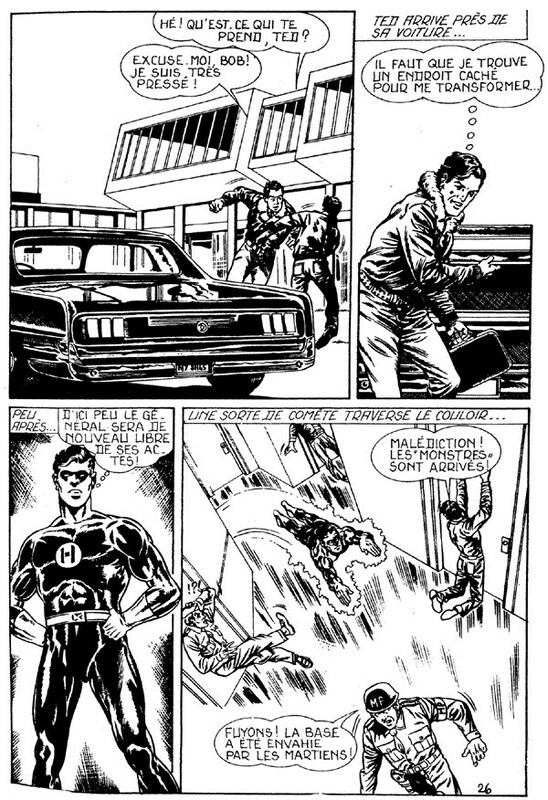 Frank Universal and Sally Swift enlisted the help of C.L.A.S.H., and in turn, the agency sent Starlock to stop Homicron's rampage. Eventually, Ted White's host body could no longer contain Homicron's energies and disintegrated. 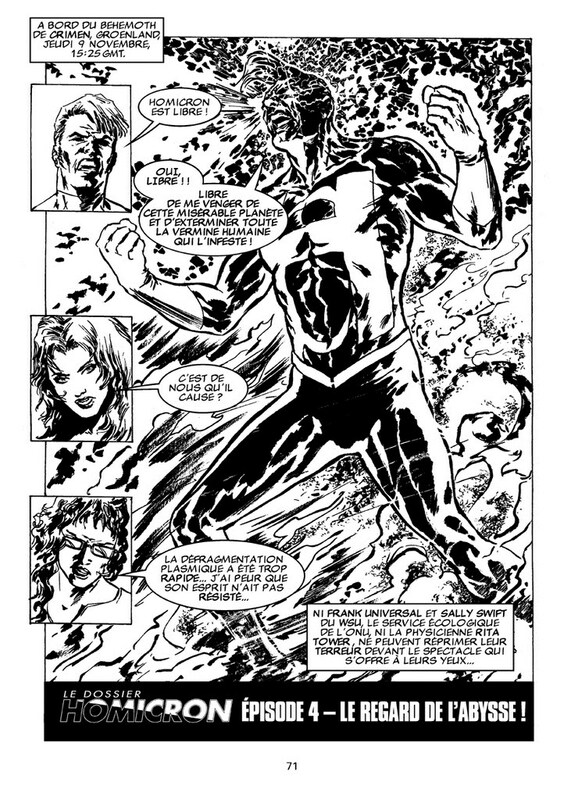 The energy was then absorbed into Dr. Tower's body, who now exists in a symbiotic state with the Alphan Envoy and has become the second Homicron.